Rick Kirby was born in Boston in 1945 and was educated in the New England area. After arriving in Wisconsin in 1974, he taught at several high schools and universities. He retired from public school teaching in 2001 to pursue a full time career as a composer and arranger. Before retirement, Mr. Kirby's last public school teaching position was at Waukesha West High School. Mr. Kirby has arranged or composed for many marching bands, including groups from Wisconsin, Illinois, Kansas, Ohio, Arizona, and California. He is presently the staff arranger for the award winning Sound of Sun Prairie Marching Band and the Wisconsin State Champion Waukesha West High School Marching Band. Mr. Kirby has also been involved in many commissioning projects for concert bands, jazz ensembles, chorus, and other ensembles. His music is published by Boosey and Hawkes, Daehn Publications, Hal Leonard, Arrangers' Publishing Company and his own publishing company, Spirit of the Music Publications. 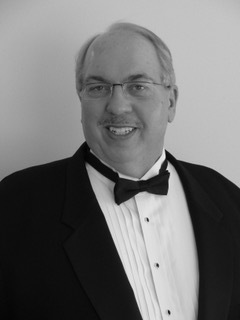 Kirby directed the Waukesha Area Symphonic Band from 2003 until his retirement in 2017. Under his leadership, WASB was awarded the coveted Sudler Silver Scroll Award in 2017, presented only to the most outstanding community bands in the United States. He is currently Conductor Laureate and Composer-in-Residence of WASB. He was also associate conductor of the Youth Wind Orchestra of Wisconsin for seven years and directed the Carroll College Jazz Ensemble for ten years. Rick Kirby was the Wisconsin Music Educators Association's 2002 recipient of the Distinguished Service Award. This award is given to a music educator for lifelong meritorious service, excellence, and dedication to music education in Wisconsin. He was also the Phi Beta Mu (Wisconsin chapter) Outstanding Band Director for 2007. Mr. Kirby won the Wisconsin Choral Directors’ Association Composition Contest in 1995 and was designated 1988 Director of the Year by the Wisconsin Chapter of the National Association of Jazz Educators. Most recently an article about his composition Different Voices was featured in Volume Seven of GIA Publication's series Teaching Music Through Performance in Band. Rick lives in Delafield, Wisconsin with his wife Bette. He has two children and five grandchildren.